We’re so excited to see Paola and Miguel’s gorgeous Mexican/desert inspired wedding on the homepage of WedBits.com today. Colorful is the word that best describes their Long Beach, CA wedding at St. Anthony Catholic Church and the Museum of Latin American Art (MOLAA). 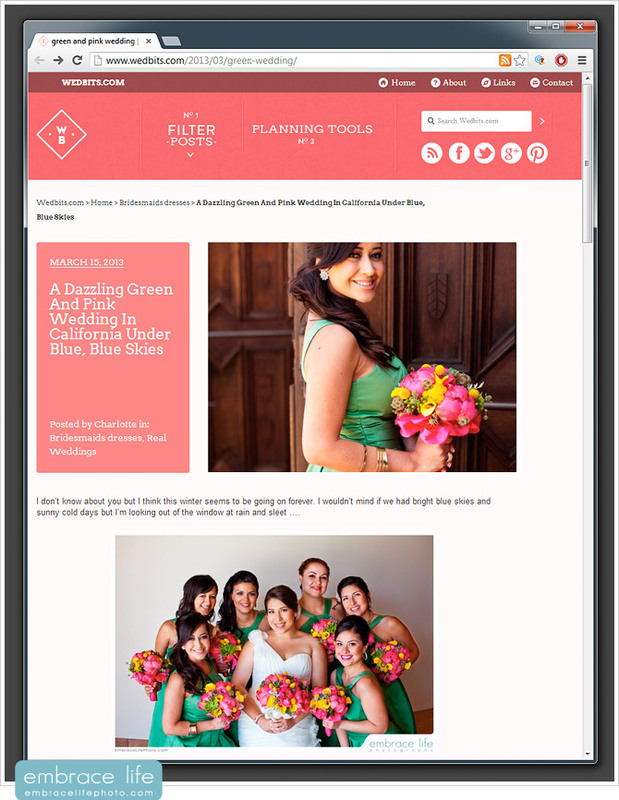 Bring some color into your day and check out the Wedbits.com feature, and our blog post of this beautiful, vibrant wedding. Paola and Miguel even kept with Mexican/desert theme for their incredible engagement portrait shoot in Joshua Tree. I love that they had a vision for both their engagement and wedding, and it’s so fun seeing their results appreciated by Webits.com. Thanks for the love, Wedbits!